VIDEO: Moments that Matter – Is This the Moment You Were Created For? 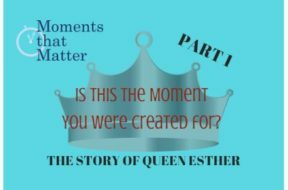 Esther was no more than 20 years old, and became queen of the Persian Empire but not because of some political treaty. It was because of her stunning beauty. 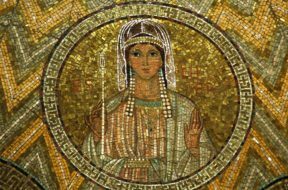 Her pedigree for being queen (besides the providence of God) was that she won a beauty contest. Watch this short vlog then listen to the full podcast of the same name (Part 1 of 2) for the telling of this amazing story! 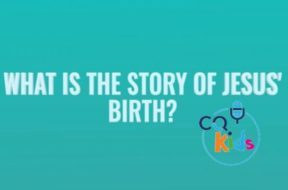 VIDEO: CQ Kids – What is the Story of Jesus’ Birth? The story begins with a young Jewish woman named Mary, who was engaged to a man named Joseph. The angel Gabriel visited Mary, and told her she would have a son named Jesus. God used his power - his Holy Spirit - to cause Mary to have a baby by a miracle. Watch this charming animated video for the rest of the story! What Should Palm Sunday Mean to Us? For Christians there is no more meaningful time of year than the spring. Aside from the natural cycle of the physical world coming back to life,spring is the season in which we celebrate the fact that life on earth had itsonce and forever life-altering event – the death and resurrection of JesusChrist. As we will see over these next two weeks of programs, this eventchanged the world forever. This week, we will focus on some of the events prior, particularly Palm Sunday and its magnificent significance in the overall unfolding of God’s plan. What should Palm Sunday mean to us? Stay with us and see just how important it is!